Argos has unveiled its first Christmas TV ad under its refreshed brand positioning in a bid to provide a "modern twist" to Christmas. 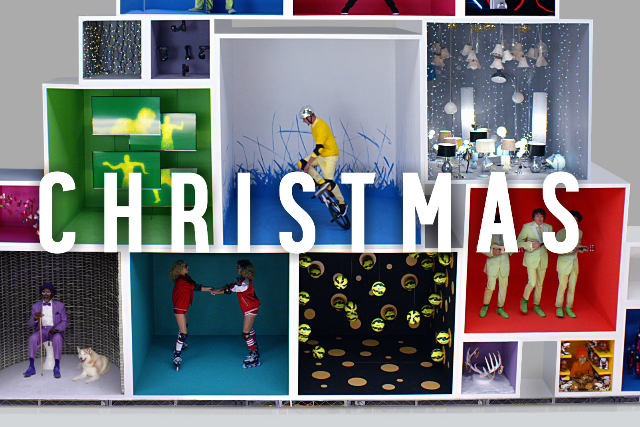 The new spot is a modern, kinect take on Christmas shopping, opening on a shot of a giant, minimalist advent calendar that variously reveals BMX bikers, skaters and bling-draped reindeer antlers.The calendar is topped with a child hip-hop dancing, in reference to the traditional Christmas fairy. The ad marks its first festive effort since it dropped the alien family. The ad is accompanied by Run DMC's Christmas track "Christmas in Hollis" and will first air during ITV's Coronation Street and Channel 4's Google Box on Friday. The "Get Set for Advent" is the latest in Argos' rejuvented marketing campaign, announced last month to mark the retailer's digital transformation. "This advert will deliver energy and excitement into millions of living rooms to provide a modern twist on Christmas, while also demonstrating all of the top brands now available at Argos – ranging from Bose to KitchenAid," said Argos head of brand marketing, Carl Nield. Last year's festive ad featured the Argos aliens browsing the retailer's catalogue on a tablet to determine what to buy Santa for Christmas.